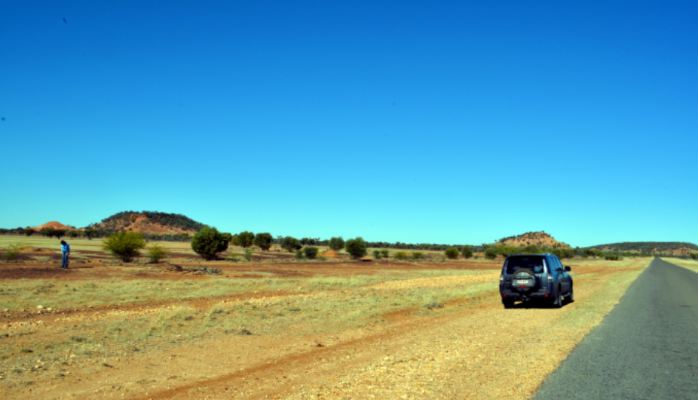 Wellbeing Considerations for Human Service Workers when working in Remote Regional Areas. I recently ran a Wellbeing workshop “Self – Care in a Challenging Environment” for Government Human Service employees who work across remote regional areas of Queensland. It was very interesting to unpack the challenges of working in remote teams, where the topics of isolation and extensive travelling bring forward the obvious needs for wellbeing strategies. It was also clear that in addition, the natural environment presents challenges, particularly in the light of recent natural disasters in Queensland, impacting individuals, families and communities with whom Human Services officers engage with on a daily basis. So the realities of working in remote areas requires workers to be proactive and take responsibility for monitoring and responding to their own personal / workplace wellbeing and maintaining resilience particularly when engaged with stressed clients. The challenges of limited mobile reception, flooded roads, cars becoming ones mobile office and workers often having to step in to a number of different roles were identified as some of the challenges. On the Australian Government, Australian Institute of Family Studies web site, https://aifs.gov.au/cfca/publications/effective-regional-rural-and-remote-family-and-relationship Roufeil and Battye (2008) state: Rural service providers have identified a range of issues that are more likely to impact on service delivery in non-metropolitan regions (CWA/FaCSIA, 2006; Lehmann, 2005). These factors include: community pressure to be “all things to all people” (CWA/FaCSIA, 2006, p. 11) in the absence of an adequate range of health and welfare services; During the workshop we identified that the pressure is really on for remote workers, and these types of challenges definitely impact individual wellbeing. Much research has gone in to what is needed for wellbeing. The 5 daily actions for wellbeing http://positivepsychologynews.com/news/timothy-so/2010031810036 are a major key. From this research and using a holistic approach, the Wellbeing Consultancy Australia’s 5 Realms Wellbeing Model and Wellbeing Action plan was developed. Write positive statements or affirmations and stick on your desk or in your car. Listen to relaxing music using head phones while going through your emails or driving. Place a photo of family / loved ones/ holiday destination in your work area. Make a regular time each day or week to phone family / friends when away from home. Clean up your desk/office or car of clutter and rubbish. Have a walking team meeting. Watch a funny movie – have a good laugh. Take a moment to gaze out at the horizon and “be”. Take 3 slow deep breaths. Do some simple stretches on a daily basis. Volunteer your time to support a local community event. Use a few drops of pure peppermint oil on a tissue and push in to your car vent. Turn on the fan when driving and the peppermint will clear your head and keep you alert. Reflect on the good things in life and list the things you are looking forward too. Review you professional development plan – look at new and interesting areas of learning. Take time to debrief regularly internally with manager/team and externally with trusted friend. Assisting organisations, teams and individuals aiming to in-crease wellbeing. Practical workshops and individual consultations are offered with tools to effectively create and implement individual Wellbeing plans, increasing productivity, resilience, health and happiness.